Meticulously kept renovated home with lots of hardwood. Split-level design w/ 4 spacious bedrooms and 3 full baths. Open floor plan w/ beautiful kitchen and wood burning fireplace. 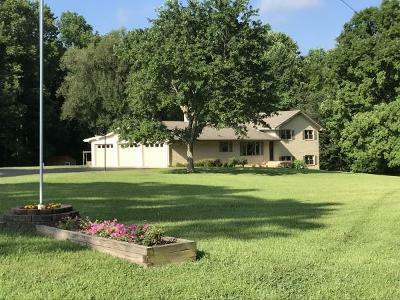 Fenced pastures, woods, livestock pond, gardens, and more. Enjoy wildlife photography, fishing, hunting, raising kids and animals, or just the view and the fresh air.